Aeropostale is offering Online Only + Affiliate Exclusive Deals for a Limited Time Only! Extra 20% Off Clearance With Code: AFFCLEAR20 at checkout. 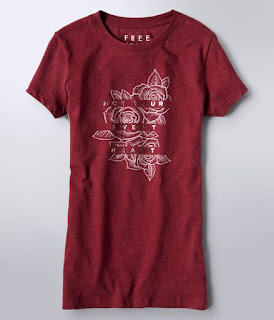 You'll find Graphic Tees for ONLY $6.99 (Retail $24.50) - BEFORE coupons.